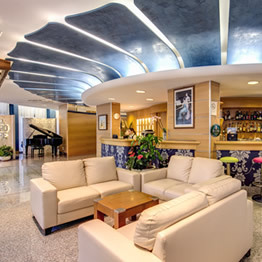 Welcome to the official website of the Hotel Astromare in Lido di Jesolo - the largest of the Mar Hotels Group chain of great quality value for money family hotels on Venice’s sublime Adriatic coast. 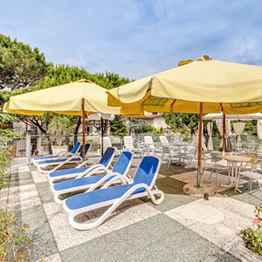 Our bright and airy 3 star hotel on the coast of the Province of Venice, has three outdoor swimming pools and is located on Viale Lungomare at the beginning of the pedestrian area. Just 80 metres from the sea, guests here get exclusive access to our private beach complete with complimentary sun loungers and parasols. On the hotel rooftop, there is even a solarium with a Jacuzzi Whirlpool tub! Next to the Hotel Astromare Lido di Jesolo one can also find several great places to eat including 2 pizzerias and 3 restaurants. Other conveniences made available at our hotel include free Wi-Fi and a hotel bar. 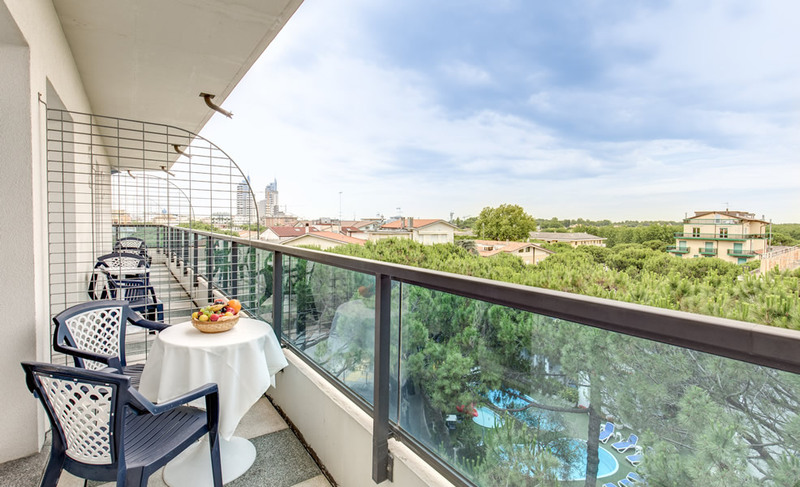 The 64 clean and airy accommodations at the Hotel Astromare Lido di Jesolo are ideal for a family unit, ranging from double size up to quadruple and all being spacious and versatile. Each room is secure, cleaned daily and comes with it’s own private balcony, some of which overlook the pools. Satellite TV, an outside telephone line and en suite bathroom with shower and hairdryer all come as standard. Here on the official website of the Hotel Astromare Lido di Jesolo you’re guaranteed the best rates for our hotel, as we do not allow any third parties to undercut our own prices. What’s more, you’re dealing directly with us, so if you have any queries whatsoever about your booking it’s easy to get in touch. Our staff speak a variety of languages and our online booking system is fully secure and easy to use. Take a look at exclusive special offers available now at the Hotel Astromare Lido di Jesolo!